It just must be that time of year, the shoes pickings have been fabulous this week! 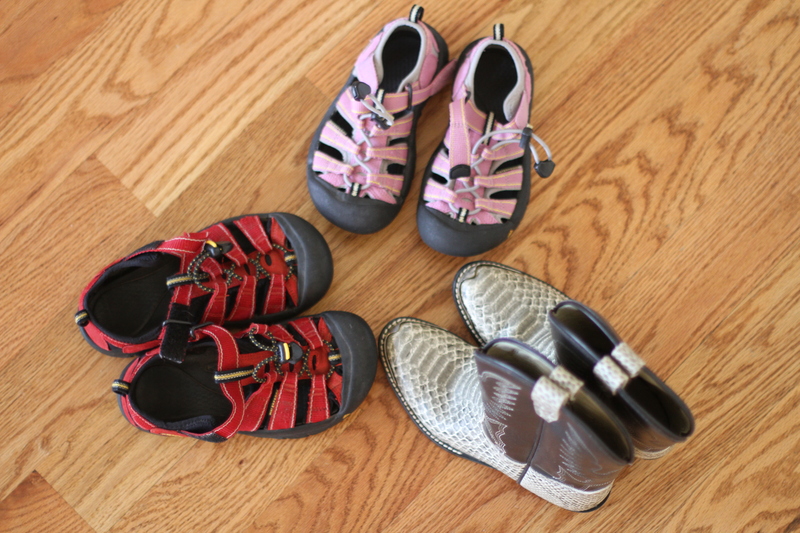 Two more pairs of kids Keens and some cowboy boots. All in excellent condition and so affordable! We are a country of plenty, and I’m thankful for others excess! Keens were $5 and the boots $9. Digging those shoes. I found sparkly pink boots for Elsie. Otherwise, it’s been slim pickings for shoes these parts. « Is it a vice? You are currently reading The week of the shoes at whatsarahfound.